Boat Enthusiasts! Boaterâs Paradise on the âCotee Riverâ to the Gulf of Mexico! 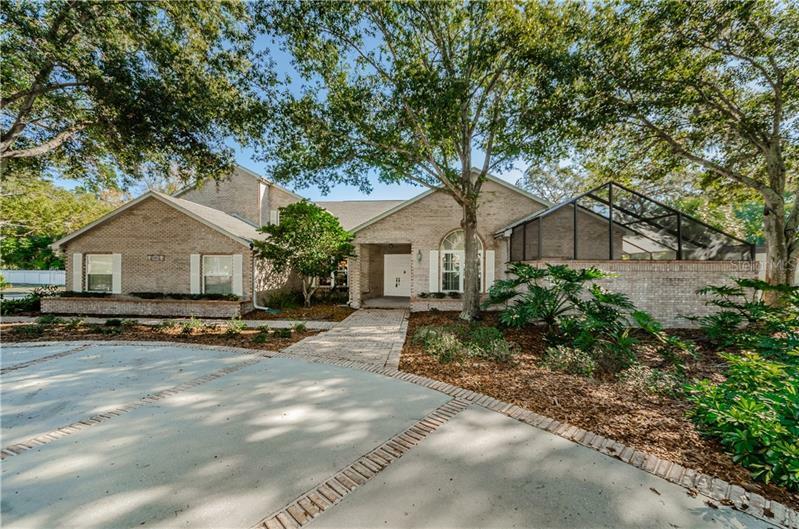 Palatial 4BR, 3.5BA pool home on desirable Cotee River.Circular drive to double door entry & a spectacular scenic river view from the formal living room will captivate you. Kitchen is designed with distinction featuring wood cabinets, granite counters, double electric ovens, & desk. Eat in area boasts double glass doors to lanai & large window with picturesque river view. Attention to detail is noted throughout. Expansive family rm with soaring ceilings, brick fireplace with custom hand carved mirror, built ins, &wet bar makes entertaining with ease. Retreat to the spacious ownerâs suite with custom walk in closets, crown molding, full dressing mirror, fireplace & an additional walk in safe. Adjacent rm to the ownerâs bedrm is equipped with cabinets, granite counters, refrig, & sink for the ultimate ownerâs convenience. En suite bath with new wood soft close cabinets, granite counters, jetted tub, & a seamless shower, has access to a screened privacy garden area.Ascend the oak stairs to the upper level where versatile area/loft with hand carved glass rail will impress.Two guest bedrooms & guest bath are inviting. 4th bedrm/office is located on the lower level for convenience. Screened lanai with separate pool bath, oversized sparkling pool with 3 waterfalls& ideal location on the Cotee River, a boat ride to the Gulf of Mexico will enhance your Florida lifestyle.Must view to appreciate . Call for your appt .